alaTest has collected and analyzed 88 reviews of LG 55INCH4 Series. The average rating for this product is 4.8/5, compared to an average rating of 4.6/5 for other products in the same category for all reviews. People really like the design and price. The sound and usability are also mentioned favorably. We analyzed user and expert ratings, product age and more factors. Compared to other products in the same category the LG 55INCH4 Series is awarded an overall alaScore™ of 89/100 = Very good quality. Bought the LG UHD TV a couple of weeks ago, great price, great service from Richer Sounds. Really happy with the purchase. Bought August 2018 - had a few problems but Manager Cliff - was very helpful in sorting out quickly and gave discount because of the problems. 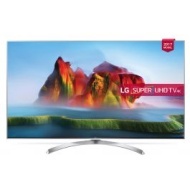 Great TV and with 5 year warranty. Would shop again as they are very good price compared to some other places. Had the tv a month now and loving it. Sound and picture quality is great. Bought 2 weeks ago and upgraded from my 51 inch Samsung and the sound and picture quality is far superior on my new 55 inch LG. Bought about 6 weeks ago. Very happy- LG every time and richer sounds every time - can't beat service and guarantee 6 years!